How strong is the ‘culture’ in your organization? What do we mean by culture? Company culture incorporates the values and behaviors that contribute to the social environment of your organization. Is customer satisfaction the ultimate goal? Are your employees empowered enough to satisfy customer requirements? What are the company’s true core values? How would you establish a good culture? What is the most important question here? Company culture versus contact center culture is often a tricky topic. Customer service is the driving factor for better performance. To bring about successful change in a business, leadership needs to focus on the company culture. 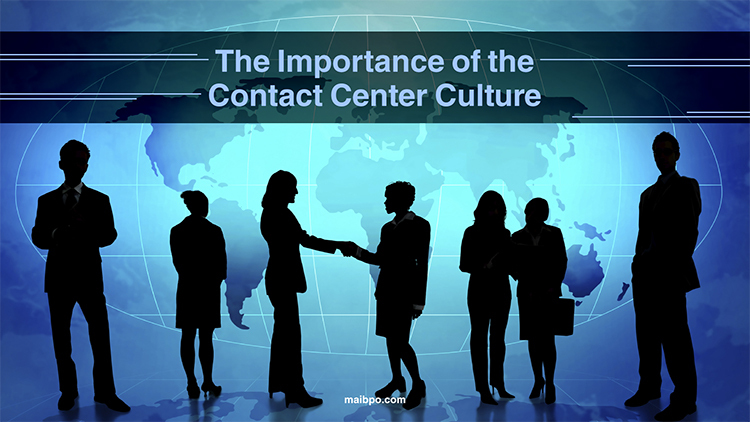 A contact center is the central point in an organization from which customers are managed. A positive culture triggers higher employee engagement, which subsequently leads to better results. Therefore, it is important that a healthy culture be maintained in the contact center. Contact center employees who enjoy their work and are enthusiastic about serving customers help contribute to a positive culture that leads to outstanding service and higher levels of customer satisfaction and loyalty. How do you create a good culture? The best leaders set both performance goals and value expectations. It is important to analyze and define the company’s values and then implement them among your team members. Integrate the culture and refine it from time to time as your company evolves. Someone from the management team must be visible and accessible to the contact center agents. Management sets the tone and encourages the team to constantly strive for improvement. Acknowledge the effort that the employees bring to their roles in your organization. They deserve recognition for their dedication, achievements and service. Customer management is the core of your business and when it is successful, so is your business. So realize its importance and show your agents you appreciate them. Invest in your agents. When you acknowledge them, your organization will also be rewarded. This isn’t always about monetary rewards – even a seemingly small gesture of recognition can boost morale. If you find an employee struggling or unable to perform, offer additional training and support instead of simply issuing a reprimand. No one is born perfect. Ask for opinions and delegate. You have trained a group of individuals to meet specific requirements. Once they are capable, give employees a chance to express their views and ideas. Delegate responsibilities as effective team work is the key to success. Stop managing only by the numbers! Conventional contact center management methods tend to be focused on the easiest to measure metrics. This leads to agents rushing through calls to meet the metrics you have established. Try to manage people individually instead. Contact center agents need to feel motivated so they can provide the very best support to your customers. As a business head, you need to provide them this framework. It is only then that the agent will care for the business as their own. Benchmark your achievements against your competitors’ and adopt practices to constantly improve. Effective team work is essential for a successful business. So gear up and see what you can do differently to benefit yourself and others around you. Be the change!